Leading Manufacturer of rock drill hose and air rock drill hose from Ahmedabad. Natural and synthetic rubber blended tube Textile Reinforcement: Synthetic Yarn with high retentivity. Abrasion, weather, and heat resistant cover with excellent aging properties. 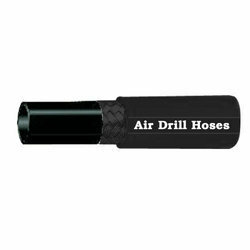 We are one of the reputed organizations engaged in offering Air Rock Drill Hose in the market. To manufacture these hoses, experienced professionals make sure to follow the quality assured standards of the industry and use best grade quality raw material obtained from the authentic vendors of the market. Moreover, these hoses are rigorously checked on different norms of quality, before the final delivery to the clients. 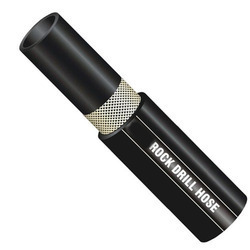 Looking for Rock Drill Hose ?